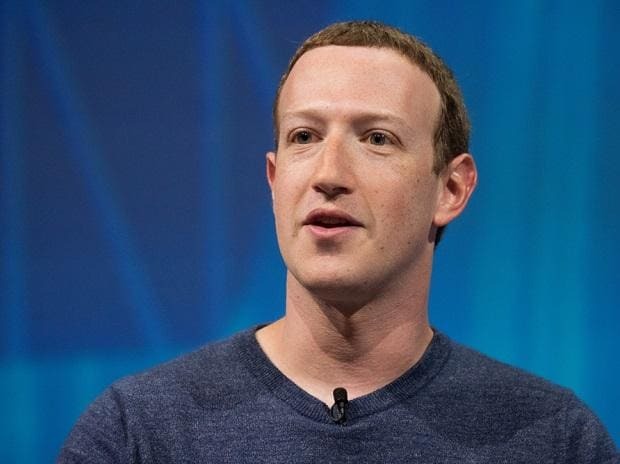 Facebook Inc Chief Executive Mark Zuckerberg said on Wednesday the company would encrypt conversations on more of its messaging services and make them compatible, the latest sign that the world's biggest social network sees its future in intimate online chats. Zuckerberg said in a post on his Facebook profile that within a few years direct messaging would dwarf discussion on the traditional, open platform of Facebook's news feed, where public posts can go viral across the world. "Working towards implementing end-to-end encryption for all private communications is the right thing to do," Zuckerberg said. He cautioned that details of the plan could change as the company consults experts throughout 2019. The strategy could frustrate law enforcement surveillance efforts as well as lawmakers who have called on Facebook to better moderate user content. It also would limit the company's ability to generate revenue through targeted ads. But Zuckerberg said he could live with those tradeoffs because users want better control of their data while still having easy access to their contacts. As part of Zuckerberg's strategy, a Facebook user would be able to communicate with WhatsApp users while only having a Messenger account and vice versa. Users would also have more options for how long chats are saved, he added. "The future of communication will increasingly shift to private, encrypted services where people can be confident what they say to each other stays secure and their messages and content won't stick around forever," he said. "This is the future I hope we will help bring about." Facebook shares rose 0.7 per cent on Wednesday. Shares in Snap Inc, which owns messaging app Snapchat, ended down more than 2 per cent. Zuckerberg acknowledged that the public may be sceptical about Facebook's privacy push given the company does not have a "strong reputation for building privacy protective services." Lawmakers, users and investors have expressed concerns over the last two years that Facebook is not doing enough to safeguard user data after a series of breaches and privacy bugs. But Zuckerberg wrote that "we've repeatedly shown that we can evolve to build the services that people really want." Facebook is one of the biggest global players in private messaging with its WhatsApp, Messenger and Instagram, each used by more than 1 billion people. Only WhatsApp fully secures message content from all outsiders, including Facebook itself. Police have raised concerns about introducing similar security to the other services because they would no longer be able to access online chat records to track religious extremists or other perpetrators. Regulators have called for Facebook to increase moderation of user content, but more encryption would make it difficult to view and track problematic posts. Encrypted conversations also limit Facebook's ability to send targeted advertisements. Facebook may need to look for new ways to insert itself between businesses and consumers to generate revenue. Tencent Holdings Ltd's WeChat app has shown how a messaging service can generate revenue through not only displaying ads, but also being a marketplace for games, merchandise and services such as taxi rides. Facebook has encouraged messaging conversations between businesses and consumers since at least 2016 but has not disclosed its revenue from the efforts. Zuckerberg said on Wednesday that "significant thought" still needs to go into integrating commerce into messaging. James Cordwell, a financial analyst at Atlantic Equities, said Facebook's strategy risks undercutting its current way of making money. "But if they can pull off this WeChat-esque strategy," he said, "it could open up material revenue streams beyond just advertising, something that investors have been craving for quite some time."